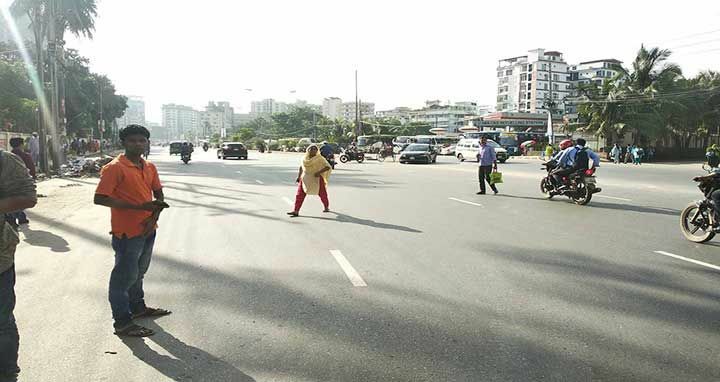 Dhaka, 1 August, Abnews: Agitating students from different schools and colleges blocked key intersections on Wednesday morning in the capital Dhaka, protesting against the killing of two college students in a road crash on Airport Road on Sunday. 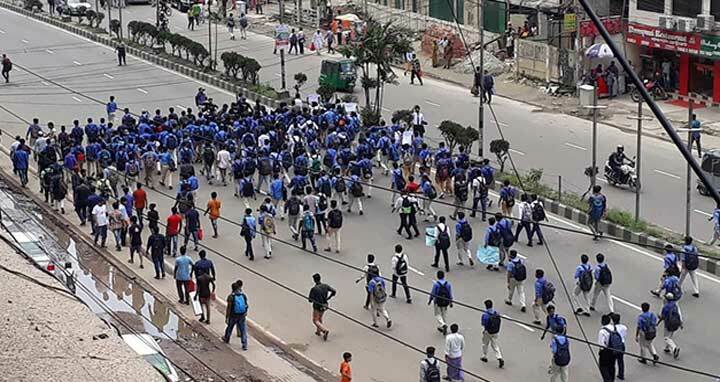 Students of different schools and colleges blocked Farmgate, Matuwail, Jatrabari, Babu Bazar Bridge, Kabi Nazrul Government College road, Tongi, House Building road in Uttara areas in the morning. 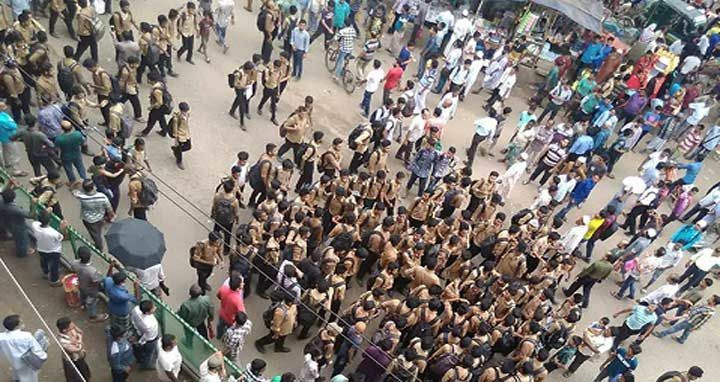 Besides, students of different schools and colleges took position and staged demonstrations in College Gate area on Dhaka-Mymensingh highway demanding safe road. The demonstration largely disrupted movement of traffics in most parts of the city. On Sunday, Diya Khanam Mim and Abdul Karim Rajib, students of the college section of Shaheed Ramiz Uddin School and College, were killed as a ‘Jabal-e-Noor Paribahan’ bus ploughed through some students in front of Kurmitola General Hospital on Airport Road.